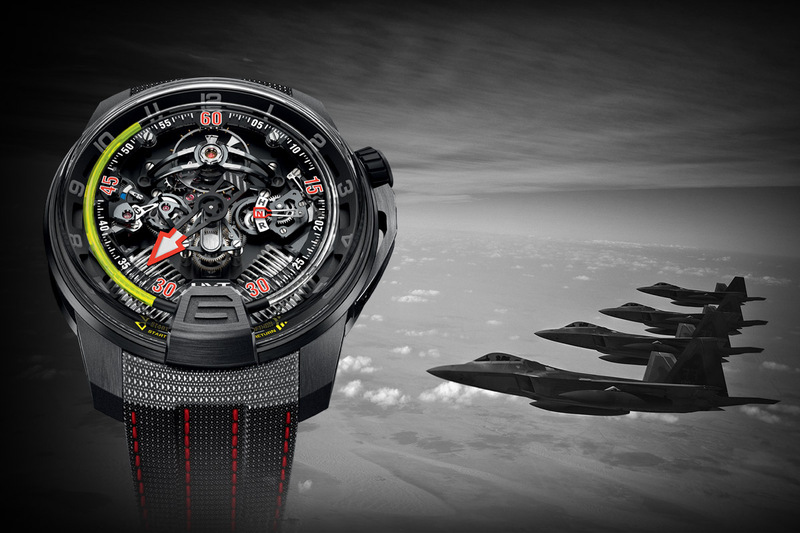 After several reviews of their watches, you should know what HYT is and that the timepieces they produce are highly technical, bold and modern. Whatever we talk about the H1, the H2, the H3 or the H4, they are all very far from being called vintage-oriented, traditional or retro. Recently, we’ve seen evolutions of several editions from the Hydro Mechanical Horologists (that’s how the folks at HYT like to call them), like the aviator-style H2 or the implementation of a lighting system (mechanically-driven) in the H4. 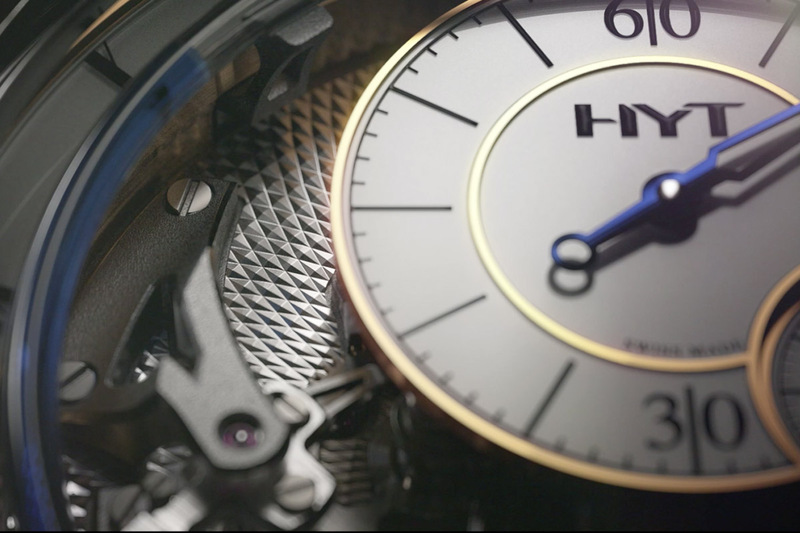 For their first participation at the SIHH (into the “Carré des Horologers“, with 8 other independent brands), HYT makes a U-Turn, with a more traditional vision of the H2… and some tweaks on the movements and display. 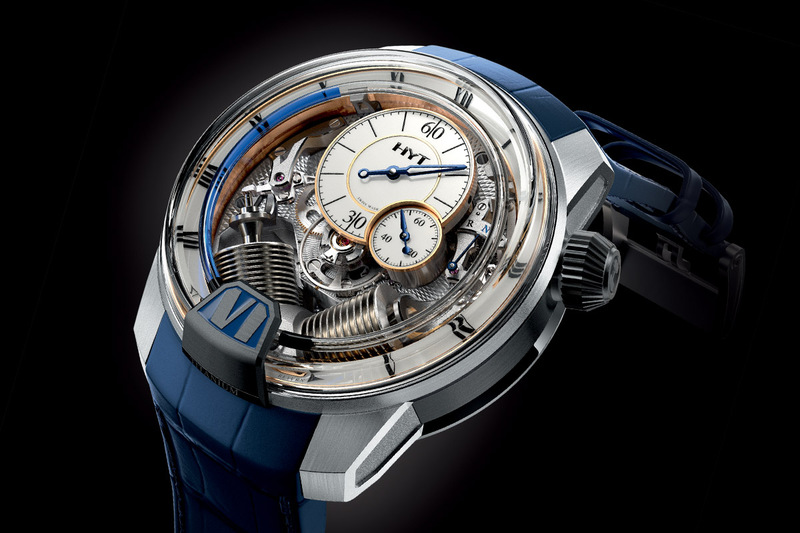 Let’s have a look at the HYT H2 Tradition. 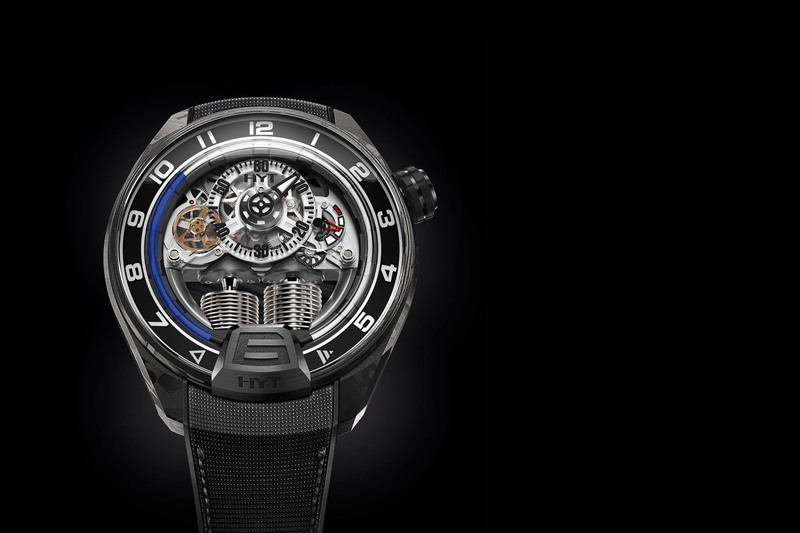 Take a look at the HYT H2, the second watch created by the brand, with the typical V-shaped bellows and the entirely skeletonized movement, visible from the front. I dare anyone to call it “classic” or “traditional”. Maybe, in 20 years from now, after the major brands change their style to something similar, we’ll call it a classic watch… but I doubt it. 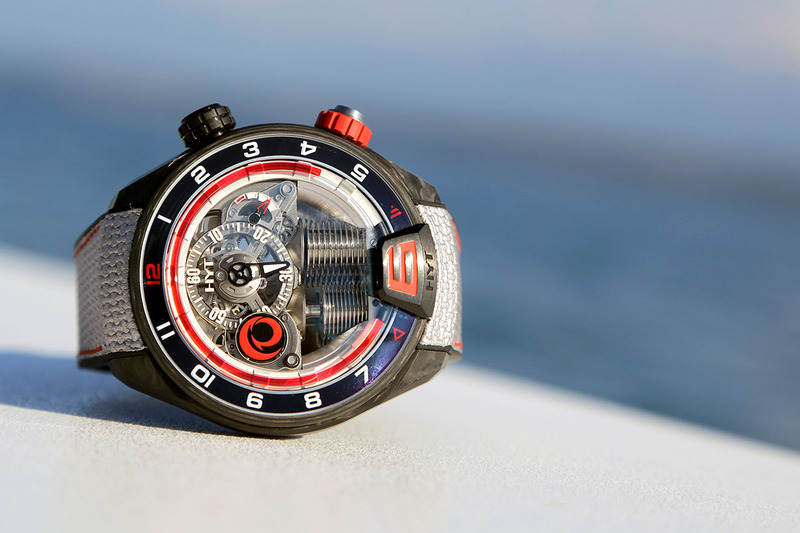 So what’s the purpose of the HYT H2 Tradition? Being a (more) classic watch. So, should we expect this novelty to be just another hand-driven display? No, the HYT H2 Tradition is still an HYT, meaning that the display relies on the use of fluids, inserted in a capillary, to indicate the hours (Just like in every single watch from the brand). So what is classic in this watch? 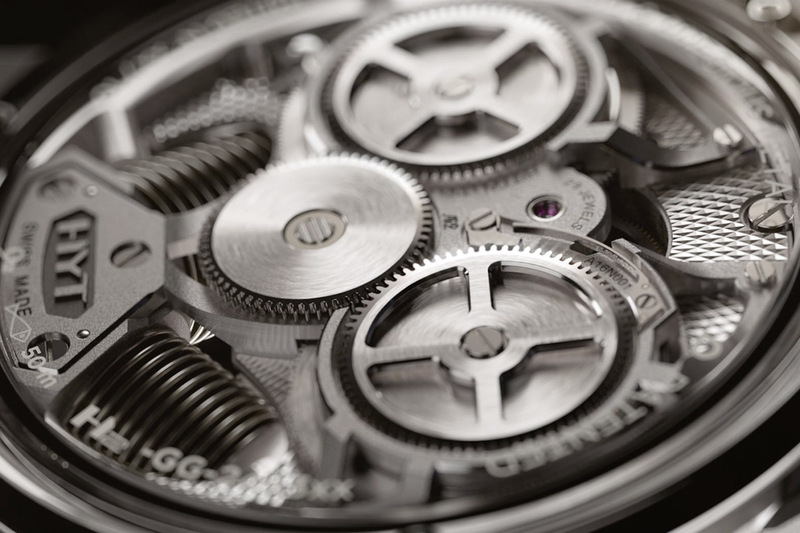 Some visual elements, which rely on the traditional codes of watchmaking. What changes on the HYT H2 Tradition, compared to a normal H2? Not the case, that still measure a massive 48.8mm and that is made of titanium, with here a light anthracite grey PVD coating on the central container. The display and the use of bellows and capillary filed with 2 liquids? Neither. These typical HYT elements are still in place. In fact, two main points or evolution are visible: the finish of the movement and the dial, and the display and the position of certain technical elements. The first thing to notice is the presence of sub-dials. 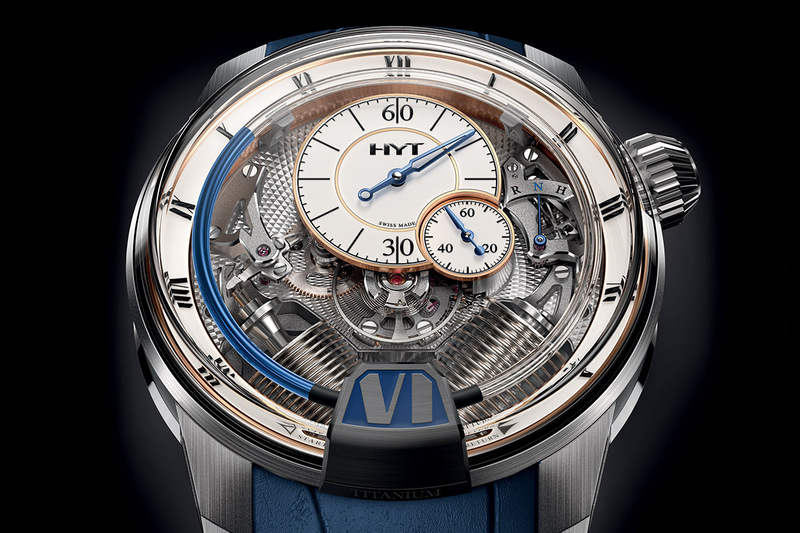 Previously, the HYT H2 only featured a central hand to display the minutes, via a sapphire ring just next to the liquid-filed tube – see here for details. With the HYT H2 Tradition, the brand goes back to something more classical with two sub-dials, one for the minutes and one for the seconds – a bit like in the H1 by the way, something that at first made me thought I was in front of a new type of H1 and not of H2. This new display is however not without incidence on the movement itself. In order to leave some room for these new timing features, the balance wheel (that used to be located at 12) has been re-centrered. This shift meant a large part of the movement’s design had to be overhauled (especially the gear train that had to be re-designed), a step achieved HYT’s partners, APRP (Audemars-Piguet Renaud-Papi, designers of the HYT H2 movement). 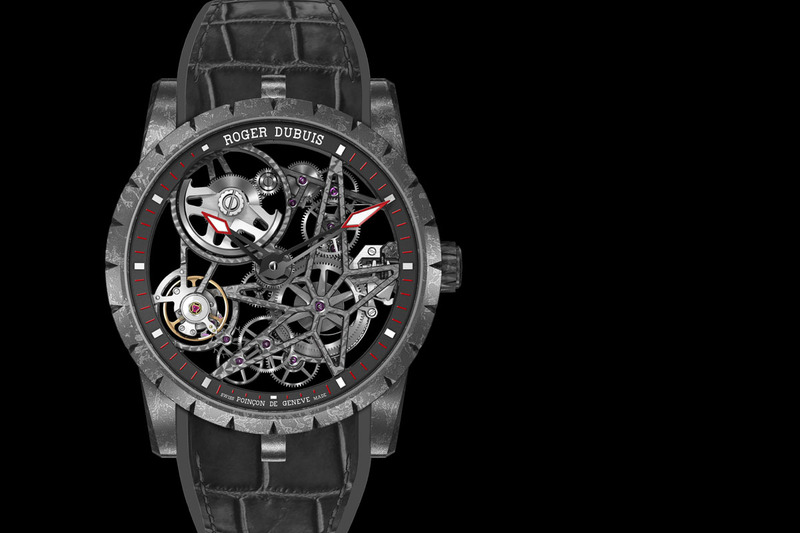 For the rest, the movement remains technically identical, both for the pure horological part (with its 8 days power reserve and the crown-poisiton indication) as well as for the fluidic part. 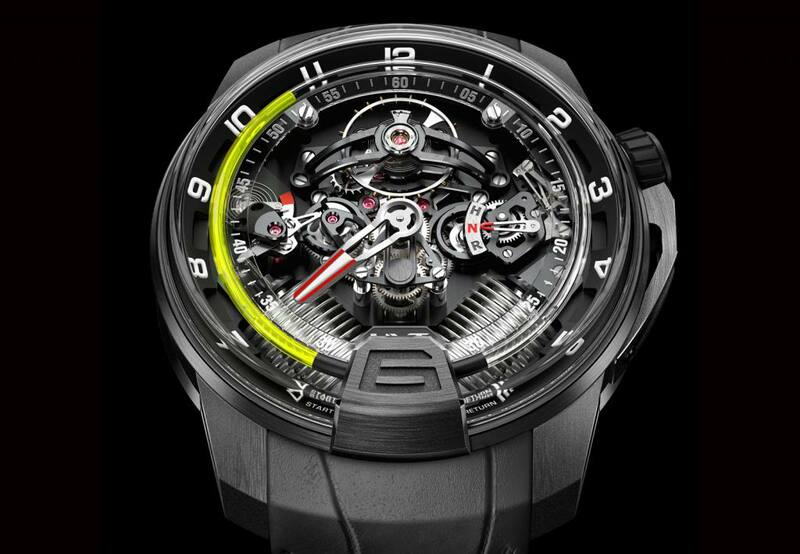 The final evolution on this HYT H2 Tradition is the execution. While the normal H2 features sandblasted and blackened parts (an obvious choice for a modern, bold watch), this new classic iteration uses traditional features of watchmaking: lacquered dials with 4N gold treatment, Roman numerals and blued hands for the indications of time. Then, the main plates, both on the dial side and the movement side, are finished with a diamond guilloché. The rest of the movement remains impressive and finished to high standards. Now comes the question of the interest of such a iteration. 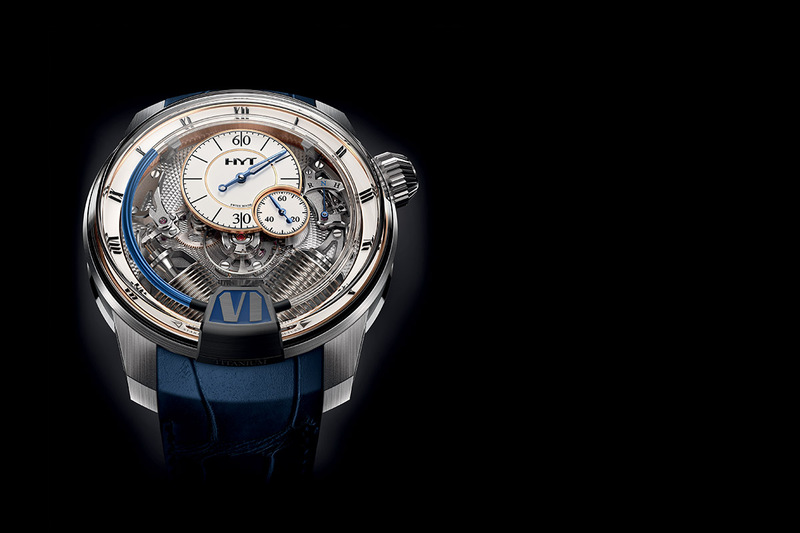 Is the HYT H2 Tradition good looking and mainly, is the HYT H2 Tradition relevant? To be very honest, this question will have to be answered after a hands-on, with the watch on the wrist. 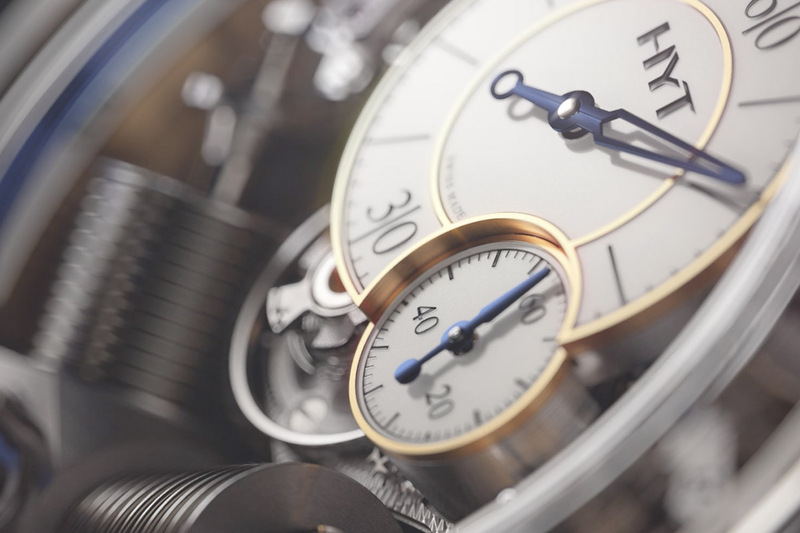 The main point of HYT watches was their extremely technical and almost industrial look and finish, something that participated to the whole feel of a timing machine, rather than a proper watch. With these new features (more traditional display and retro-classical finishes), we thought at first that the HYT H2 was loosing a bit of its boldness, by becoming a bit busy. Really, something to be confirmed in live, during the 2016 edition of the SIHH (starting Monday 18th January). Price: $189,000. hytwatches.com.